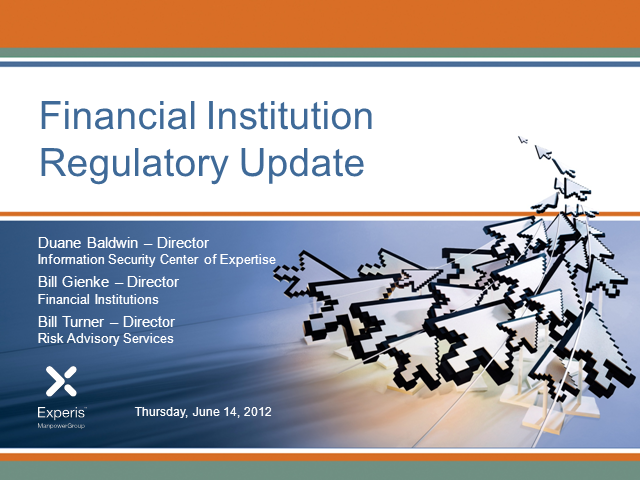 The Consumer Financial Protection Bureau (CFPB) and other Dodd-Frank related regulatory changes continue to stretch financial institutions’ ability to monitor operational activities and implement new requirements. In addition, expanded use of mobile banking and other technologies are adding additional burdens to the risk and compliance teams. Financial institutions need to understand the impact of these changes and implement streamlined compliance monitoring and implementation approaches. During this webinar, we'll highlight key regulatory trends and provide pragmatic insights into leading risk and compliance management practices.